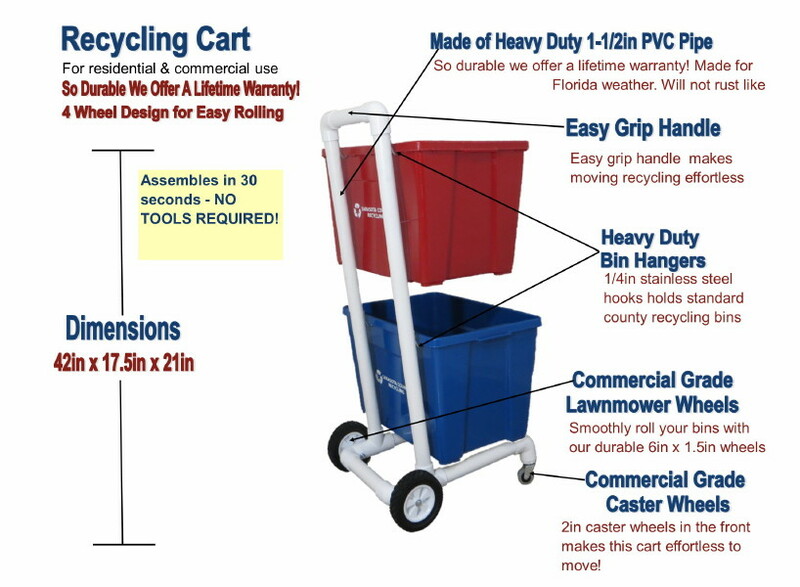 Convenient 4 Wheel Design Makes Moving Your Recycling Effortless! Lowest priced recycling cart - buy direct from the manufacturer and save! 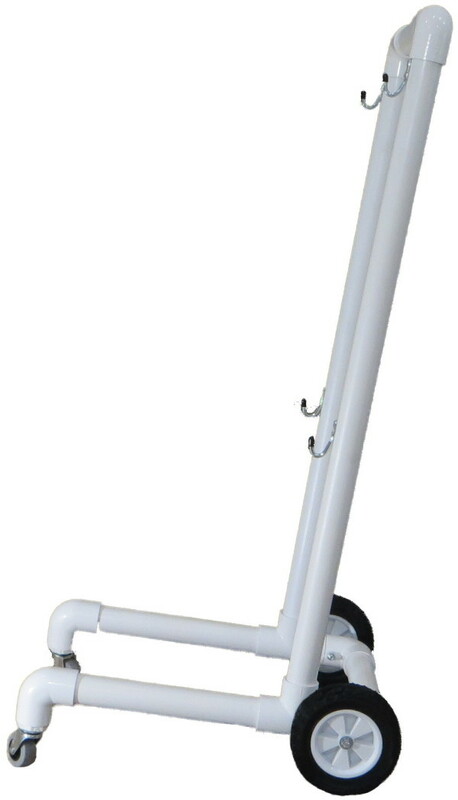 Our recycling cart, holds 2 recycling bins on heavy duty stainless steel hooks that won't rust or bend! This space saving design, has rugged commercial grade lawnmower wheels in the back and commercial grade caster wheels in the front for smooth and easy rolling. Very simple to assemble (assembly time is approximately 30 seconds and no tools are required!) See how easy it is to assemble our recycling cart, Click Here! 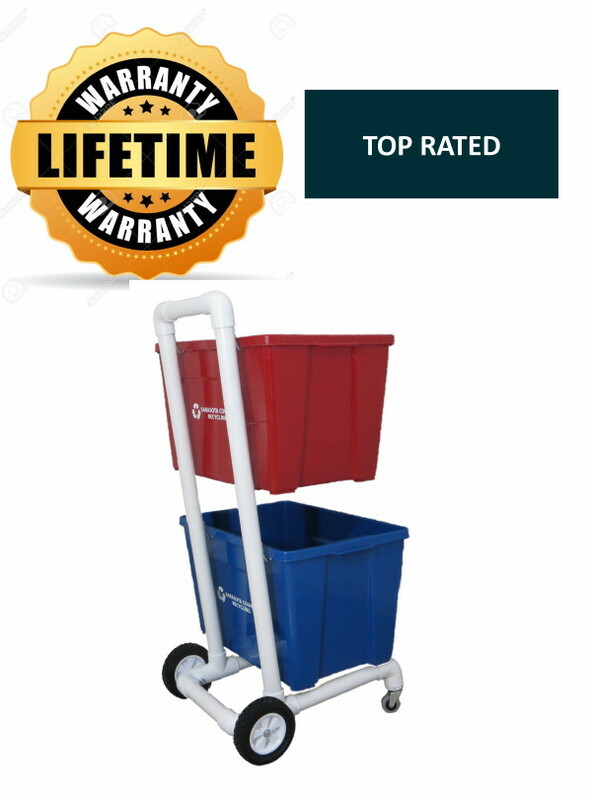 In business for over 15 years, we provide high quality recycling carts to residential and commercial customers all over the United States. 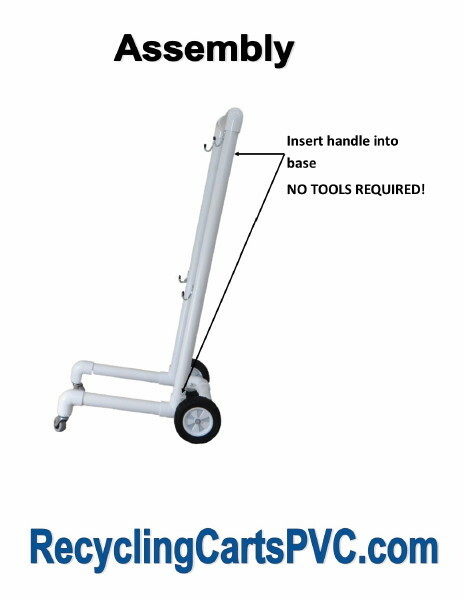 Our cart is so easy to assemble! Simply insert the handle into the base and push down. The handle will become secure as it is pushed into the base. No tools are required for assembly! 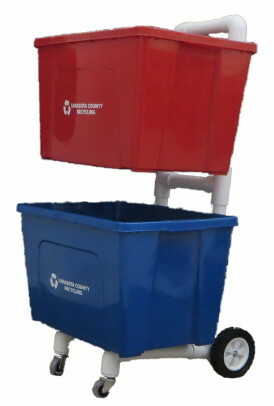 Our recycling carts make a terrific gift for family and friends! Why not make someone else's life a little easier?